Gather around the fireplace and AJ of Erthe Fae Designs will share a Yuletide love story from a magical kingdom. 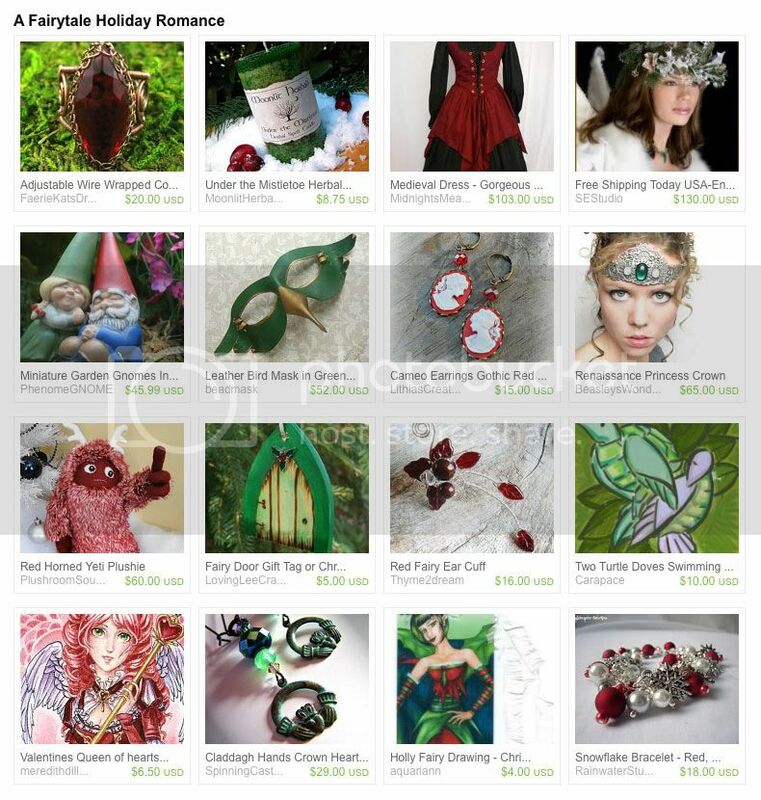 The tale is filled with red and green handmade creations from the Fantasy Artists of Etsy team, including a mistletoe candle, Renaissance princess crown and my holly fairy bookmark. Jane, Pull Yourself Together! It's All in Your Imagination! Santa, I've been a good girl! Another awesome fairy treasury! Thanks for the link up.